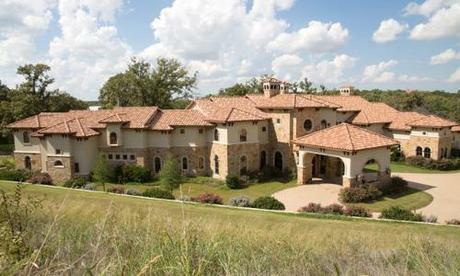 Weatherford, TX, homeowner Steve Lipsky has nothing to hide. He is not trying to take down Range Resources, a large oil and gas company with a reputation for bullying its critics, nor is he trying to defame the company as it has accused him of in a defamation lawsuit demanding more than $3 million. Lipsky, a private, conservative man who made his nest egg in the banking industry, now finds himself playing the role of David against a modern day Goliath in a battle fraught with Kafkaesque moments. After what looked at first like an open and shut case of industrial negligence turned into a lengthy legal battle, he must either fight or accept financial ruin. In 2011, the U.S. Environmental Protection Agency (EPA) determined that Range Resource’s drilling activities at a nearby fracking project had contaminated Lipsky’s well. 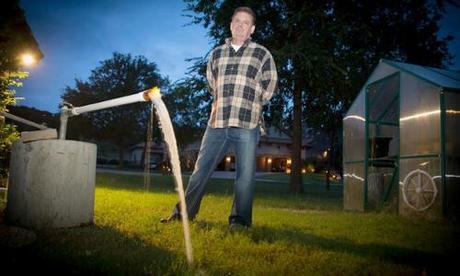 Lipsky can light the water coming out of his well on fire. He discovered this when Peck’s Well Service, the company that drilled the water well in 2005, came to figure out why it wasn’t working properly in July 2010. Peck’s found that gas building up inside the well was lowering the water pressure and causing a gas lock. Peck’s lit Lipsky’s water on fire while explaining to him why it wasn’t functioning normally, showing Lipsky it was full of gas. They installed a vent to allow some of the gas to escape for safety reasons. Lipsky decided to shut off the well to the house and has since trucked water in at an average cost of $1,000 a month to keep his family safe. Since then, Lipsky only turns on the well for testing and to demonstrate the phenomenon to journalists, the EPA, the Texas Commission on Environmental Quality, the Parker County Fire Marshal’s Office, the Texas Railroad Commission, Department of Justice and representatives of Range Resources. On Oct. 10, the Fort Worth Court of Appeals ruled that Range Resources could move forward with their defamation suit against Lipsky, based in part on accusations that Lipsky is misleading the public about being able to set his water on fire. A point of contention is a piece of garden hose that Lipsky attached to the vent coming out of his water well headspace. In a video he released online and provided to regulatory agencies, Lipsky sets fire to gas flowing through the hose that he attached to the vent. Range Resources claims the use of the hose made it seem like Lipsky was setting his water on fire. “The hose was used in the interest of safety, not to deceive anyone,” Lipsky counters. The first time he lit the vent on fire the whole well ignited. Lipsky attached the hose to direct the venting gas downwind of the well before lighting it again. In the video, Lispky never claims to be setting his water ablaze. Why would he make gas seem like flammable water, when he has water he can set on fire too? Lipsky’s dream house has become a nightmare. He is not alone. Several of his neighbors have the same problem he does, but after witnessing what has happened to the Lipskys for fighting back, they’re reluctant to speak out. Shelly Purdue recently went on camera with local TV anchor Brett Shipp, showing that she too can light her water well vent on fire. She too installed a vent to alleviate the problem but is still living in a volatile situation. Other neighbors have installed expensive water filtration systems so they can drink their water but that doesn’t eliminate the danger. Independent testing has shown that several residents’ water well holding tanks are well above explosive limits. A team from Duke University is conducting a study in the area and released information to the homeowners alerting them to the hazardous conditions. The final results of the study will be released in the coming months. The EPA’s findings also established that there are dangerous levels of gas escaping from Lipsky’s well. They named Range Resources as the party responsible for the contamination and issued an Administrative Emergency Order against the company in December 2010. This didn’t stop the Railroad Commission—a regulatory agency that governs all things oil and gas related in Texas—from holding their own hearings that cleared Range Resources, based on evidence provided by the company. The EPA chose not to participate nor did the Lipskys since both were only given ten days to prepare, making a fair hearing improbable. My conclusion, that the gas well could be the source of methane in the (Lipsky) water well, was based on the chemical and isotopic data. After reviewing the Range presentation to the Texas RRC my opinion is unchanged. The Lipskys sued Range Resources after the EPA named the company the party responsible for contaminating the well. The family was promptly counter-sued by Range Resources for defamation. The presiding judge, Trey Loftin, dismissed the Lipskys’ claims, citing lack of jurisdiction, but allowed Range’s defamation suit to proceed. The Lipskys’ lawyer, Allen M. Stewart, argued that the libel suit went against the Texas Citizens Participation Act, also known as the Texas Anti-SLAPP Act, which was passed in order to allow citizens sued in retaliation for the exercise of their constitutional and common law rights of freedom of expression to avoid the expense and burden of defending meritless suits for defamation, business disparagement and similar torts based on the exercise of those rights. The act achieves its purpose by allowing defendants in such suits to seek and obtain early dismissal before being forced to participate in costly discovery. But the Lipskys’ request to dismiss the case was denied. he Lipskys sued Range Resources after the EPA named the company the party responsible for contaminating the well. The family was promptly counter-sued by Range Resources for defamation. Range Resources didn’t stop at suing the Lipskys. They also went after the EPA. After over a year of litigation, the EPA withdrew their emergency order requiring the company to provide drinking water to the Lipskys. Resolving the lawsuits with Range allows EPA to shift the Agency in this particular case away from litigation and toward a joint effort on the science and safety of energy extraction. EPA and Range will share scientific data and conduct further well monitoring in the area, and Range will also provide useful information and access to EPA in support of EPA’s inquiry into the potential impacts of energy extraction on drinking water. The EPA’s move hurt the Lipskys since it gave the appearance that the EPA had made a mistake. Why else would a regulatory agency back down when lives are at risk? However the EPA has never retracted their findings that proved Range Resources had contaminated Lipsky’s well. Lipsky is still baffled by Range Resources’ test results and the letter they sent him and his neighbors on Feb. 2, 2011, assuring them their air and water were safe. One set of results the company produced shows zero gas in his well. Either Range Resources’ tests were done incorrectly and are not credible, or based on the zero reading for gas in his well, Range Resources has provided Lipsky with a baseline he can use to show how much worse things have gotten since 2010. The numbers for gas contamination are rising to the highest levels recorded nationwide, and Lipsky has the documentation to prove it, provided by Duke University and private testing conducted with the same equipment the industry uses. In Sept. 2013, tests showed gas coming out of Lipsky’s water well measuring 162,000 parts per million (ppm). 50,000 ppm is considered a level for potential explosion. Air samples taken directly from the water well headspace vent showed levels exceeding 900,000 parts per million. Several residents alerted the Railroad Commission of new high-test levels, prompting the agency to reopen its investigation. The Lipskys were not the only ones left bewildered when the EPA withdrew the administrative emergency order. Six Republican senators—James M. Inhofe (R-OK), David Vitter (R-LA), John Boozman (R-AK), Tom Coburn (R-OK), John Cornyn (R-TX) and Kay Bailey Hutchison (R-TX)—also felt a need to question the EPA’s actions, sending a letter requesting the Attorney General investigate the matter. The Senators hope to prove the EPA is an activist branch of the government. The government shutdown has held up the Attorney General’s report but Lipsky is hopeful the truth will emerge. Documents uncovered by ABC Dallas affiliate WFAA Channel 8 show Range Resources failed to cement their drilling operation despite being required to do so by the industry’s own standards. Doug Allmand, an engineering specialist for the Railroad Commission, is aware of this. He sent Range a violation letter on Aug. 10, 2010. According to Dr. Payne, a scientist hired by Lipsky from Pennsylvania, where fracking operations have contaminated wells in similar cases, this probably led to the contamination of Lipsky’s and his neighbors’ wells. Steve Lipsky is now working with attorney Brent M. Rosenthal, who is preparing to petition for a writ of mandamus in the Texas Supreme Court asking to dismiss Range’s remaining claims for defamation and business disparagement against Steven Lipsky. Lipsky is saddled with legal bills and the expense of trucking in drinking water from a nearby town. He worries about his future, since his dream house has been devalued. 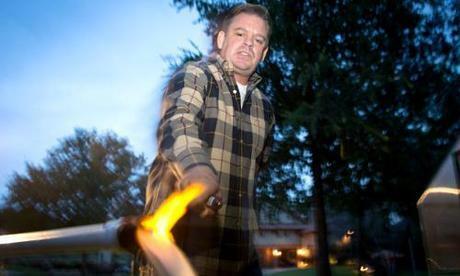 He also worries about his neighbors living under the threat of a catastrophic gas explosion. The stress is taking its toll on Lipsky’s health, as his spiking blood pressure attests. But Lipsky doesn’t have to worry about his property exploding, since his well remains turned off as a precaution. In a culture where the oil and gas industry spends millions on PR campaigns and hires representatives with military backgrounds in psychological operations to intimidate private citizens, where regulatory agencies and scientists risk harassment when their results are not ’industry friendly’, where lawyers don’t want to take on clients who have cases against industry for fear of losing business with energy producers, and where industry campaign contributions taint politicians and judges all the way up the ladder, how many people will fight back as staunchly as Steve Lipsky has?